Onions are one of those things that we all typically have in our kitchens. It’s hard for me to think of a recipe that I love to cook that doesn’t involve at least one onion. 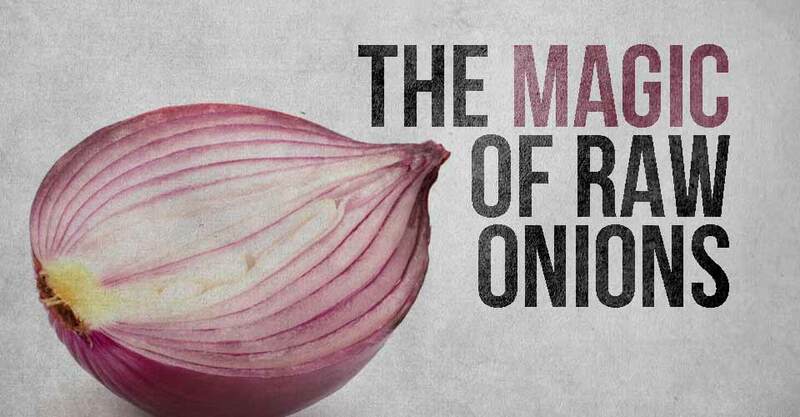 What I didn’t know is that onions are basically magical. Aside from making food delicious, they have a ton of positive effects on our health and are useful for everything from repelling bugs, to treating wounds. Native American culture used onions for medicine, and even the World Health Organization (WHO) has officially verified the onion’s abilities to be used as medicine. One of the onion’s strongest medicinal uses is treating coughs and other respiratory issues. If you’ve ever dealt with chest congestion you know how annoying and even painful the constant coughing can be while your body tries to clear the fluid in your lungs. All you have to do is crush an onion up with some coconut oil and rub the mixture on your chest. The concoction works just like vapor rub to relieve chest congestion. Also, you can peel a large onion and cover the face of the slices with brown sugar. Let the slices sit for and hour, and then mash the onion slices up into a “relish”. Eat one tablespoon of the mixture every couple of hours, and your cough will disappear.